The Barclays Premier League is finally back with Carlsberg as the official beer sponsor for the next three years! Malaysian football fans shall wait no more but fill their weekends with all the thrills, spills and drama that the football championship has to offer. 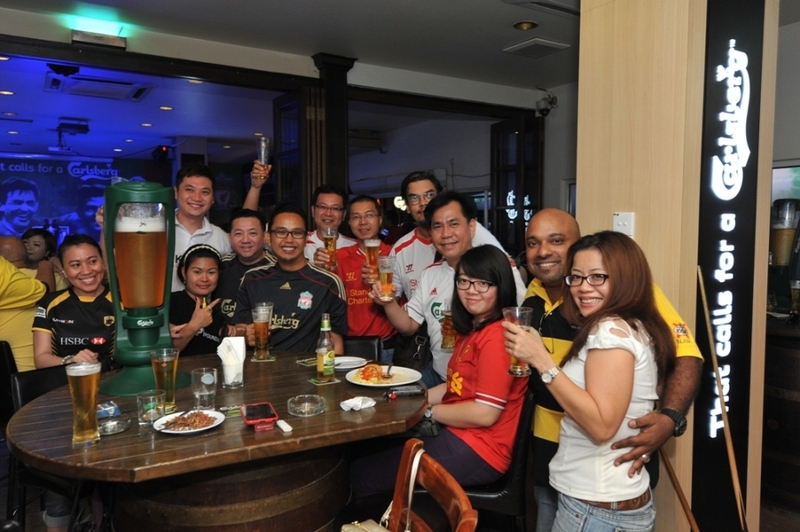 And what better way to enjoy BPL than with a cold Carlsberg in hand? 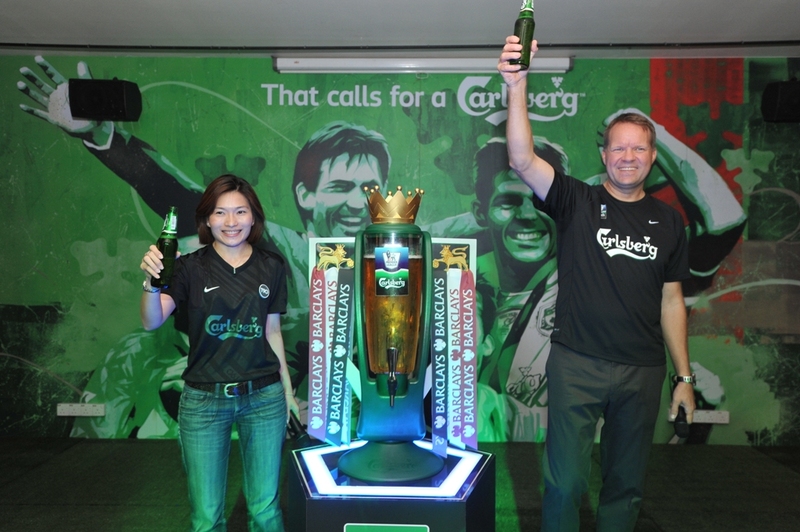 Known for its passion and long-established association with football, Carlsberg recently launched an integrated BPL 2013/2014 consumer campaign that brings the BPL action from the UK to Malaysia, while at the same time allowing Malaysian fans to experience BPL VIP-style hospitality in the UK. Passionate football and Carlsberg fans will have much to look forward to as the official beer goes all out to elevate the engagement and excitement around BPL to the max! To kick start the first phase of the campaign, Carlsberg rewards its consumers with limited edition Carlsberg BPL football merchandise at various outlets, eateries, pubs, bars and super/hypermarkets nationwide. Carlsberg brand ambassadors will make appearances at participating eateries to conduct the Carlsberg BPL Spin & Win contest. Each spin, based on purchase, offers the opportunity for the consumer to take home limited edition BPL merchandise including jerseys, lighters, umbrellas and more. That’s not all. Carlsberg, being the beer of choice when it comes to football, is sending avid football fans to experience all-expenses-paid trips to the UK to watch live Premier League matches of their choice. 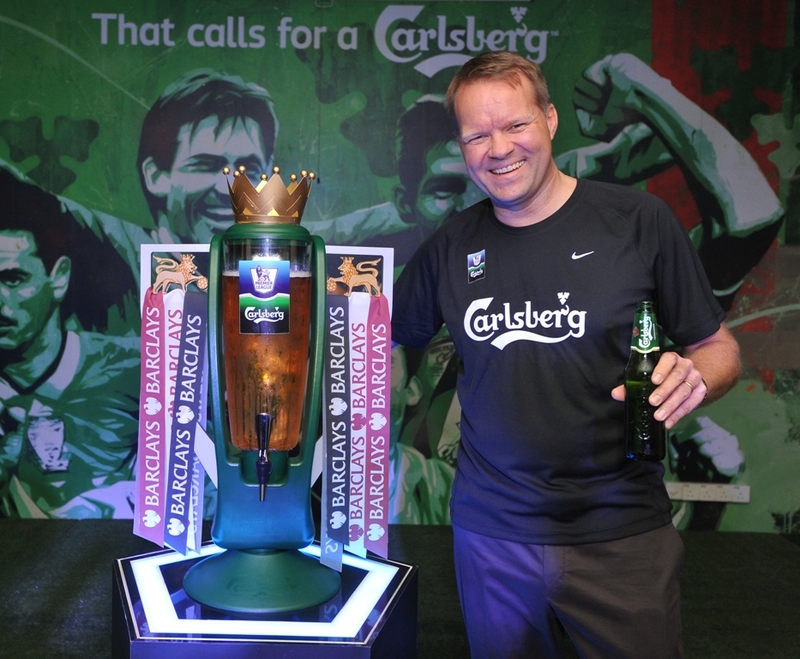 Being the official beer of BPL, Carlsberg has access to all 20 football club stadiums. Imagine being picked up by a friendly Carlsberg brand ambassador at the airport, chauffeured to a trendy hotel and served a meal fit for a football legend, and get pampered like a VIP for a 3D2N stay in the UK. You will visit one of the iconic football stadiums and get access to the private Carlsberg VIP Hospitality Lounge where you will not only watch a football match in style but, if luck is on your side, also have the opportunity to meet your favourite football player or a living legend over a Carlsberg! Carlsberg can turn your dream into reality. As the one and only premier beer of the Premier League, Carlsberg is offering trips with special VIP privileges and a money-can’t-buy football experience. One way to win the trip is to participate in the ‘Price for Passion’ Facebook contest that challenges football fans to prove how far they would go to score this once-in-a-lifetime experience. Even if you don’t score the trip, authentic BPL merchandise including signed jerseys by a football star of one’s choice are also up for grabs. Be bold and visit www.facebook.com/Carlsberg to pledge your “price”. In addition, you can also try to win this ultimate experience via exclusive contests in selected newspapers. Do check out the football column of your local dailies! “Carlsberg’s BPL campaign is bringing Malaysians a first-of-its-kind ultimate Premier League experience that is unlike any other in town. 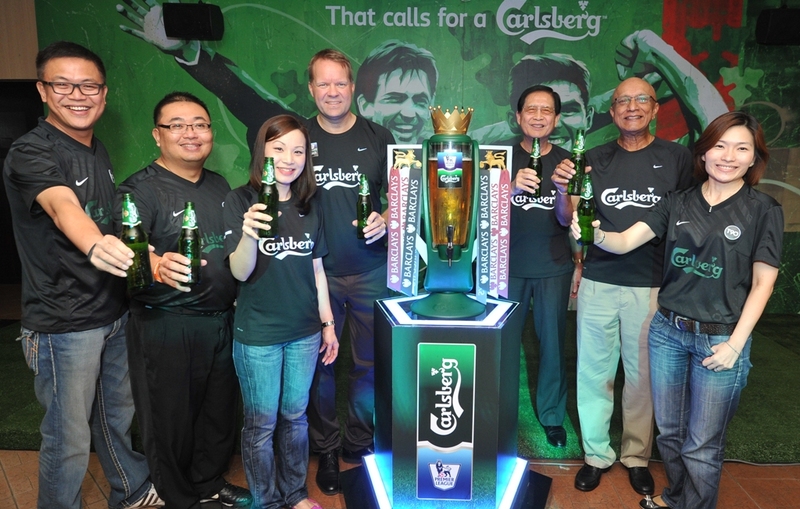 Being the official beer, Carlsberg has the rights, access and network in rewarding our consumers via a nine-month long consumer and fan engagement campaign,” Carlsberg Malaysia Managing Director Henrik Andersen explained. Andersen added that football and beer go hand in hand and Carlsberg is the only beer brand worldwide that has enjoyed such a long and illustrious heritage in the sport. “Together with our consumers, we celebrate our latest milestone as official beer of the BPL, in addition to our other international football sponsorships such as official beer in UEFA EURO Championship, official beer for Liverpool FC for 21 consecutive years, official beer of Arsenal FC and Team England.” Carlsberg will also be holding football viewing parties at selected locations nationwide throughout the season. At these viewing parties, football fans will not only get to enjoy the clash of top clubs in high definition but will also have the opportunity to win more BPL collectibles. This entry was posted in Party and tagged Carlsberg, football, sports by TheGoodGoodGuy. Bookmark the permalink.